A while back I wrote an article about brands finding a way effective product versioning to get customers to willingly spend more, happily part with more of their cash and consumer surplus and hence able to drive up their profit. The principle is not new. The examples were there just to illustrate the power of effective pricing and versioning. None of those examples come close to the scale of what Apple was able to achieve with its iPhone 6 and iPhone 6 plus. 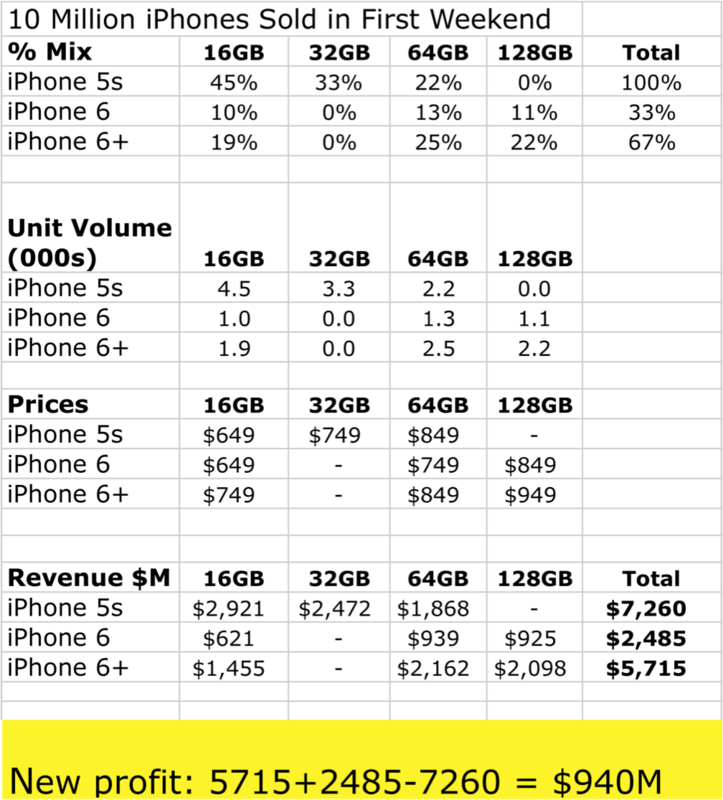 I wrote about long term profit potential of Apple’s iPhone 6 versioning. As customers lined up for hours and miles over the weekend to buy the new phones we have some early survey numbers that points to Bigger than Bigger profits. Most notable was shift to 64GB and 128GB models versus prior launch surveys and greater popularity of 6 Plus. Of those surveyed, 67 percent intended to buy the 6 Plus versus 33 percent the 6. Additionally, 33 percent planned to purchase the 128GB versus the last two launches for the highest-end model of 22 percent and 17 percent. In the end what does the net new profit for Apple look like? Crunching the numbers with data from Wells Fargo analyst and treating COGS increase as negligible here it is. That’s Bigger than Bigger indeed!